Only Adult Small left - once they are gone they are gone for good! These soft and comfortable International Lunting Society t-shirts ship for Free to all who join the Society at the Trail Blazer level. However, if you prefer to simply purchase the t-shirt, you may do so HERE. Either way, what better way to show others you are an individual who is always on the lunt! The International Lunting Society official collectible Patch is now available! After much anticipation, you can now have your very own iron-on Society patch to display your love of lunting everywhere you go! 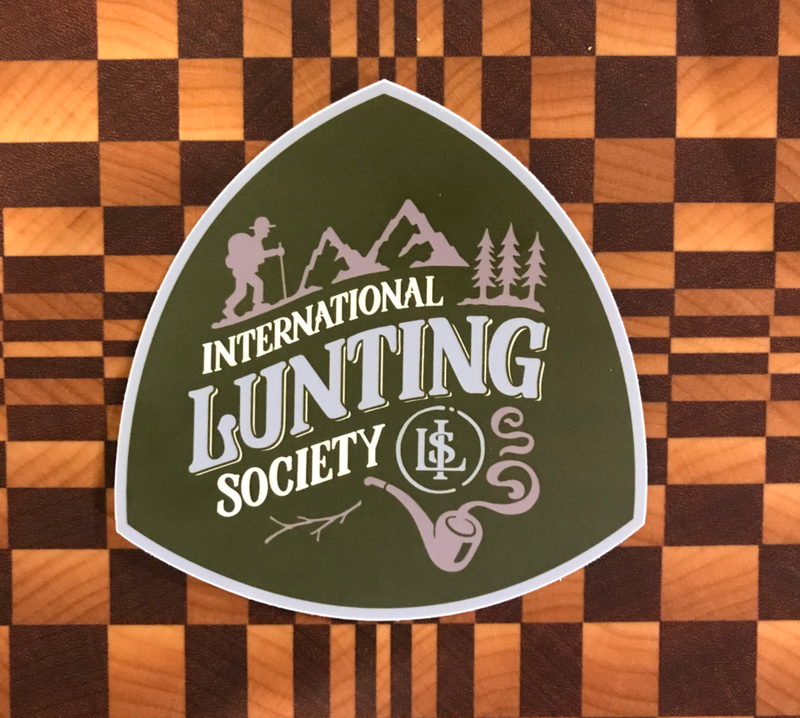 And just as a reminder, if you haven't done so already, join the International Lunting Society at the Lunter level and receive your collectible patch or sticker FREE - US shipping included! Patches are $4.00 and Stickers are $3.00 plus shipping without membership (email society@lunting.org for International rates).